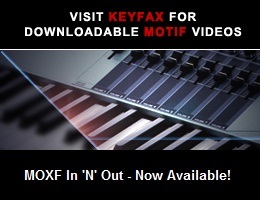 Viewing topic "What sounds doesn’t the mx keyboard have from the motif xs series?" Hi from what i can tell the yamaha mx keyboard has all the sounds from the motif xs series, what sounds are missing from the mx keyboard? That depends on how you define “sounds”. Number of Voices, number of Waveforms, size of Wave ROM, etc.? Are Arps important to you? The XS has 6,633. The MX has 999. The MX does a lot, for the price - but it’s not an XS.